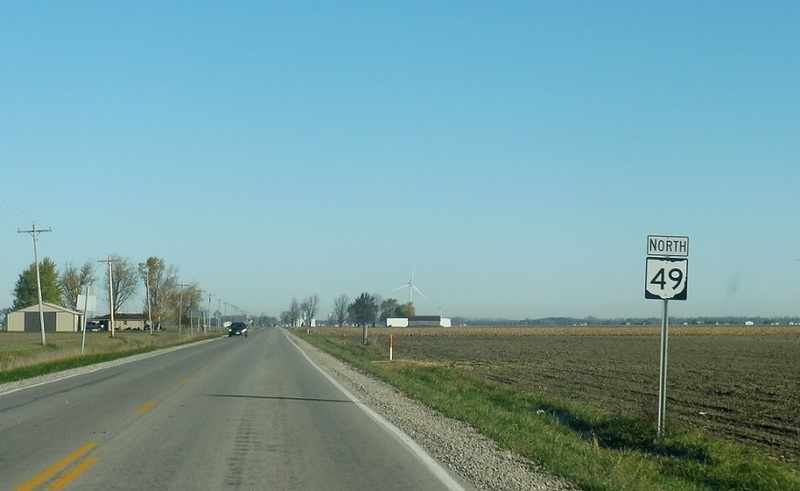 Reassurance shield after the SR 114 junction. 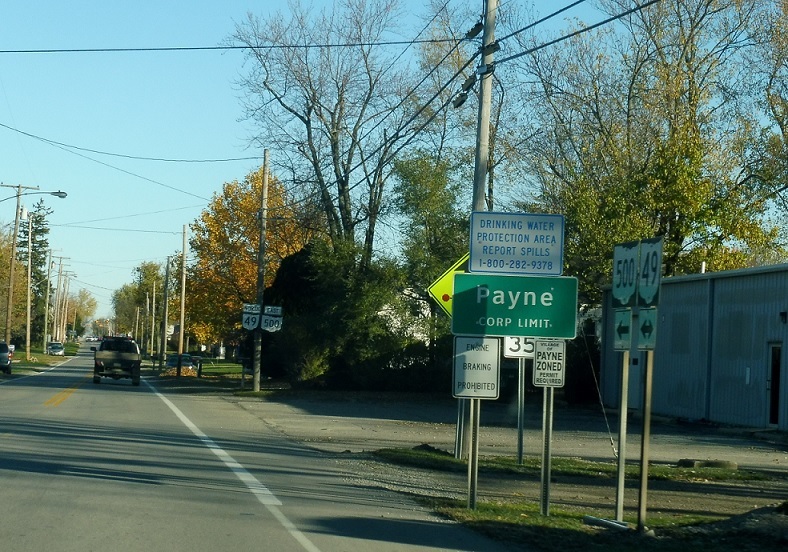 As we approach the city of Payne, we’ll come to a junction with SR 500. 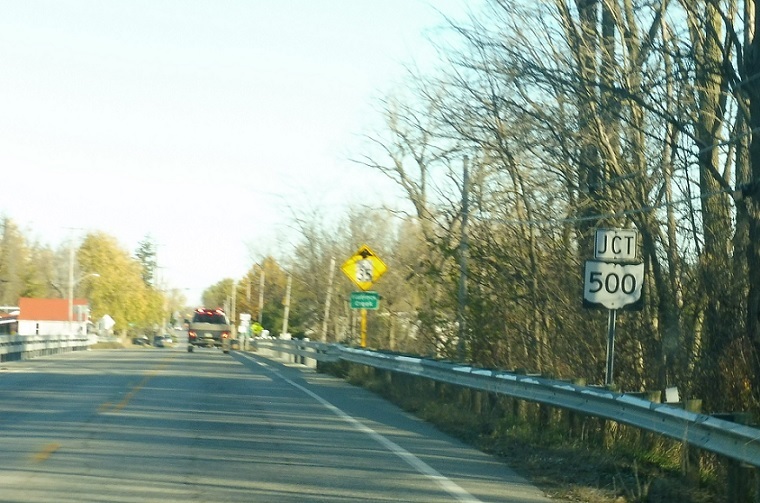 Turn left for 500 west, which spurs to the Indiana line. 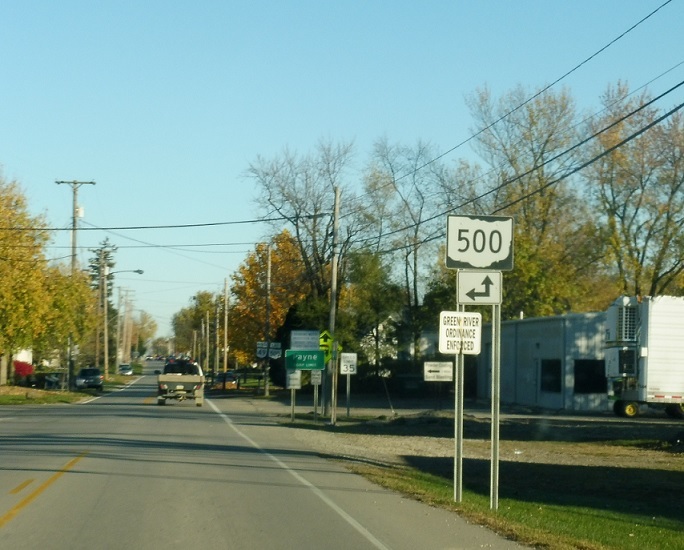 500 east joins SR 49 through town.